The once-postponed White Snake reboot is still on track to premiere in 3 days. There are quite a number of maybes for this month like The Gods and If We Can Love Like This on Hunan TV. Let's wait for the official confirmations. A story of enduring romance between the white snake spirit and the man that she loves. 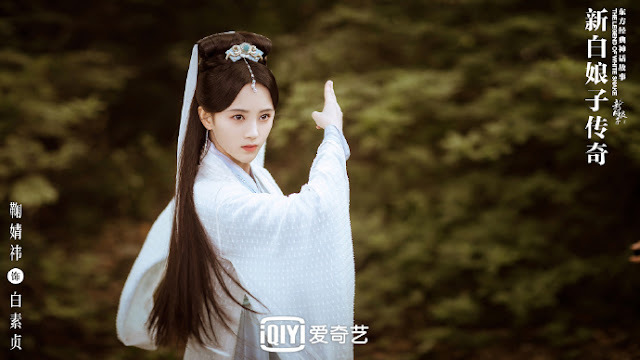 Starring Ju Jingyi and Alan Yu. A story revolving around a policeman who becomes embroiled in a conspiracy plaguing the high-ranking officials due to an incident that almost cost him his life. Starring Benjamin Yuen, Kara Hui and Philip Keung. A story revolving around a sunny youth and a marine biology student as they work together to protect the ocean. Starring Leon Zhang and Eleanor Lee. 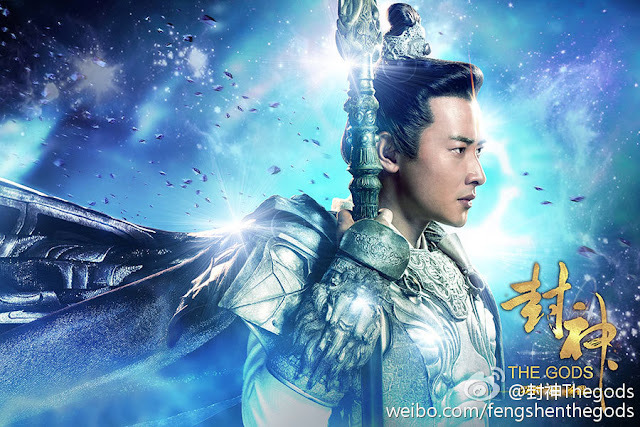 A story about the investiture of the gods that follows Yang Jian, Ji Fa and Jiang Ziya as they face off against the evil powers led by King Zhou, Da Ji and Shen Gongbao. Starring Luo Jin, Claudia Wang, Zhang Bo, Deng Lun. A husband commits suicide alongside his mistress, leaving their widow and widower to hold the funeral. This is a love story between an arrogant and unyielding pianist and a free and liberated TV anchor. Starring Tong Dawei and Cecilia Liu Shishi. A bright young girl and an oddball school genius's accidental encounter brings about a sweet and playful romance. Starring Xing Fei and Lin Yi. A well-respected art curator leads a double life as a closet fangirl who fawns obsessively over her idol. A new art director comes onboard and discovers her secret. Starring Kim Jae Wook and Park Min Young. A story revolving around a group of friends from university who enter into the workplace. Starring Leon Zhang and Bridgette Qiao. A story that revolves around a self-made man who marries a woman from a wealthy family despite her family's objections only to find that their married life is falling into shambles. Starring Yang Shuo and Liu Tao. A story between a psychiatrist and a psychologist who find each other again after breaking up eight years ago. Starring Shawn Dou and Vivi Miao Miao. A rookie who aspires to become a brilliant detective crosses paths with Luo Fei and joins hands with him to solve difficult cases. Starring Bai Yu, You Jingru and Ji Chen. A white-collar worker and a detective become embroiled in an elaborate mystery when a famous painting gets linked to an international drug smuggling enterprise. Starring Jing Tian and Chen Xiao. It follows an ordinary girl and her classmate from high school to university, from the workplace all the way to the altar as they tell a sweet love story between two people who grow together as a couple. Starring Janice Wu and Zhang Yujian. A story about two brothers who become enemies in a fight against terrorism. 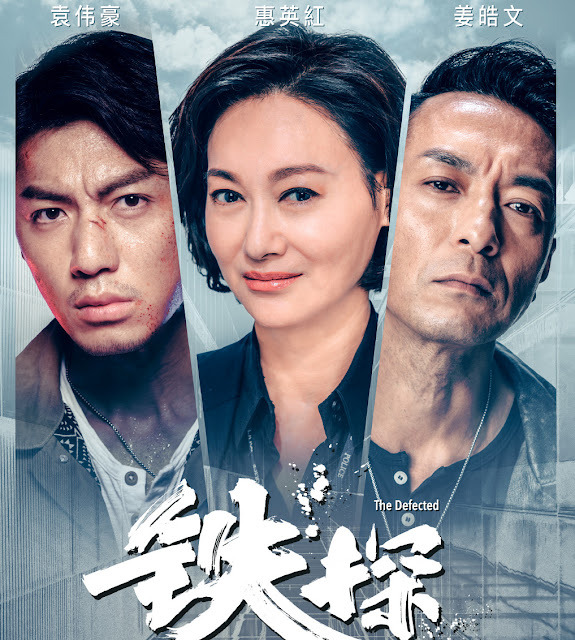 Starring Yang Xuwen, Wei Chen and Daisy Dai Si. This list is updated as more dramas are announced. We do our best to cover newly-airing mainstream Chinese dramas and a few web dramas / Korean dramas that catch our eye. We rely on weibo for announcements, so dramas that are not yet officially announced might not be here. The dates above are subject to change. For a more comprehensive list of dramas airing this month, please check out ChineseDrama.info.